This weekend was full of FUN. I hope yours was too. I attended two events in Philadelphia, had lunch with one of my best friends (doesn't happen often!) and took the kiddos to their first session of swim lessons - fun all around! I'll post about one of the events in the coming weeks, but today I wanted to write about the fun Social Media Mom Mixer. One reason I started this blog is to be a part of some of the FUN that happens in the blogging world. Yes, blogging is a lot of work, and requires a lot of work that I don't even have time to do. Hey, I work full time in marketing and also want to be there for our two kiddos under 5! Still, this weekend I got to experience some of the FUN of blogging with the Social Media Mom Mixer. It was planned by the inspiring Colleen Padilla and Whitney Wingerd and held at the beautiful Four Seasons Hotel Philadelphia. The event included so many great brand and bloggers! Here are some of the highlights! Here's a photo before the mom blogger rush. So many great people to meet! And here's some of the goodies we got at the event. From diapers to mabel's labels and even two guest passes to The Academy of Natural Sciences in Philly. I can't wait to take Little Guy there to see the dinosaurs! *note - there may be a bag of CVS chocolate covered caramels missing...the hubs and I enjoyed those too quickly!! Tommy Hilfiger and UnderArmour were there and graciously gave me these two ADORABLE onesies. 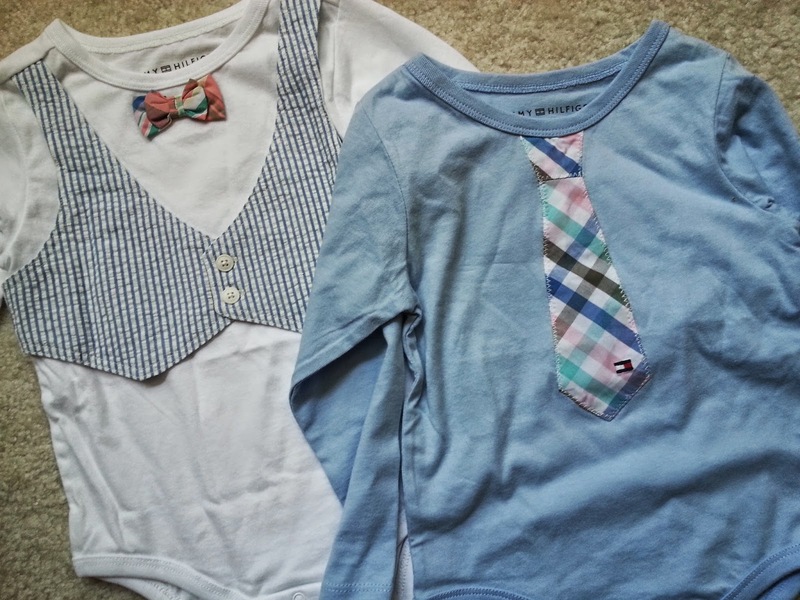 I actually found them on Amazon too if you're interested: Tommy Hilfiger Baby-Boys Infant Bodysuit with Tie and Tommy Hilfiger Baby-Boys Infant Bodysuit with Bow . I think these would make awesome baby shower gifts for a mama having a boy! 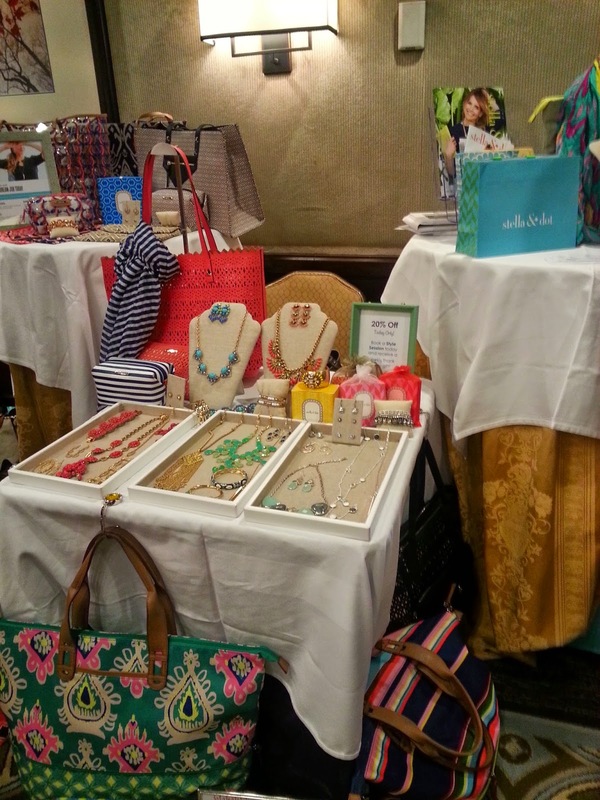 Stella & dot displayed some beautiful jewelry and accessories. I got to sample Rodan + Fields skin line - my hand felt so soft afterwards! You can also see in the background that Hershey's was there (we love food allergy friendly Twizzlers!). Even though this wasn't a food allergy focused event, I actually spoke with a member of their team about food allergies and Hershey Park and resorts. She told me they're very food allergy aware. At all their restaurants and resorts, the chef is supposed to come to your table to discuss possible safe food options for your meal. It sounded like the same top-notch treatment that I've heard Disney provides, so I'll be excited to try out Hershey Park and resorts sometime soon! I got the cutest charm (see caterpillar in the top left of the photo below) from Charm It! I know Little Gal will love these charms when she's a little older. 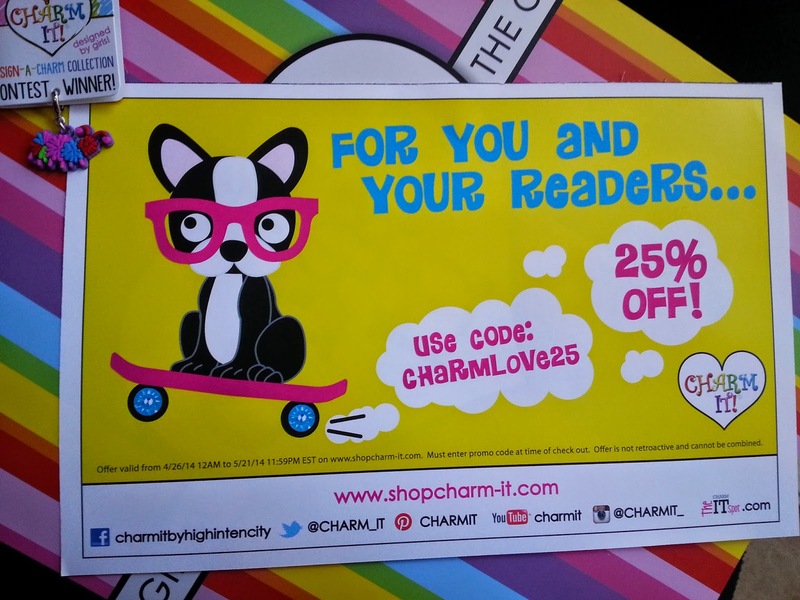 If you have a little girl who might like Charm It charms, you might be interested in the below coupon code they're offering!! 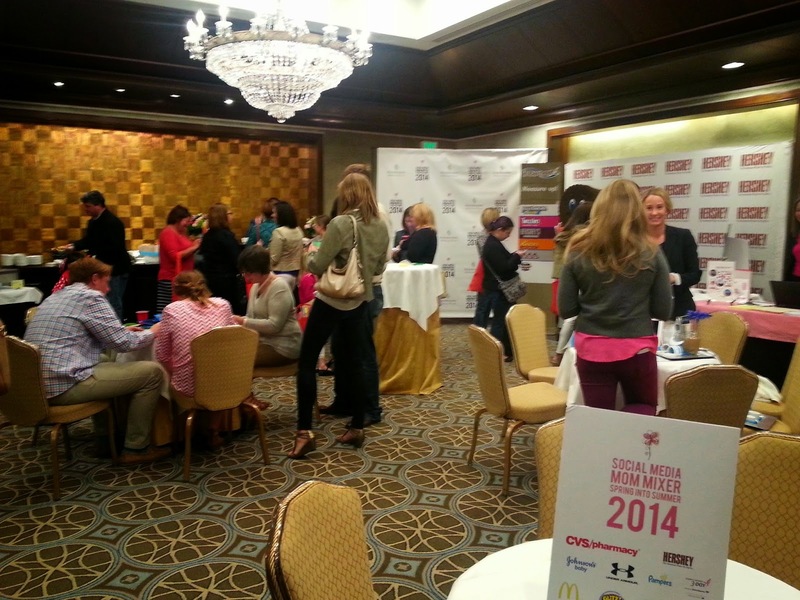 Thanks to Colleen and Whitney for planning a fun event with great brands. You might also be interested in Mom Mixer Holiday Showcase. Disclosure: This post includes affiliate links which are of no cost to you. Also, as you read in my post, I was given products from the brands at this event! Ha ha. Yes, they went quickly!